You only get one opportunity to make a great first impression. Looks are very important in the beauty industry. When a new client walks in the door, a beautifully designed salon will make a statement about how highly your company values the importance of looking good. It is important that your reception and work areas are beautiful and comfortable. Create a custom look for your styling chairs and styling stations. 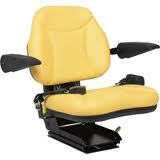 Chair Care Upholstery encourages you to choose custom fabrics and materials for your beauty salon upholstery. 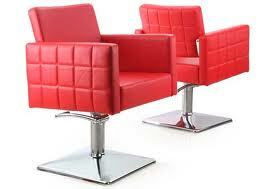 We use the industry’s top beauty salon upholstery vinyl. Creating a color scheme to be used throughout your facility solidifies your corporate image and brand identity. Chair Care Upholstery can work with you to create your custom beauty salon upholstery using solid colors or unique patterns to reflect your image and personality. When choosing beauty salon upholstery material, consider how often the chair is used, will it be used for color, styling only and all other possibilities. Remember, a light colored chair might look pretty when you first get it, but how will it look a month later? 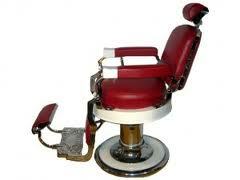 Let Chair Care Upholstery help you stay competitive with all your beauty salon upholstery needs. Call us today for a free estimate.